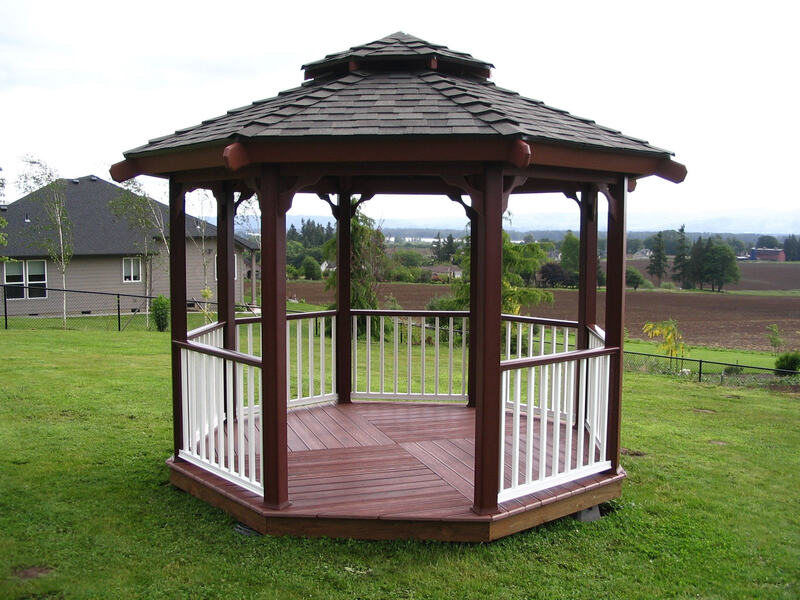 The Monarch Mahogany Gazebo Kit. 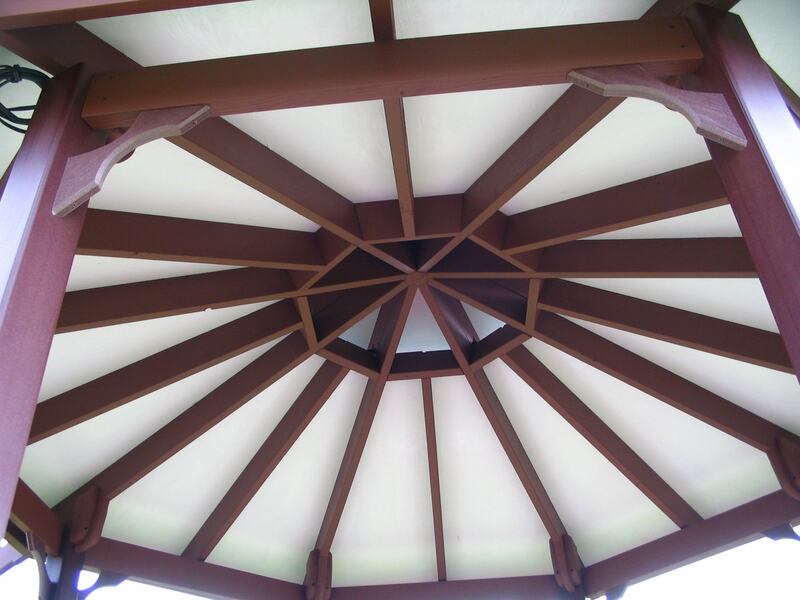 The 12' Monarch style Gazebo kit with the composition style roof and white railing using the Mahogany exotic hand rail system provides a wonderful contrast on a low maintenance no maintenance type gazebo. 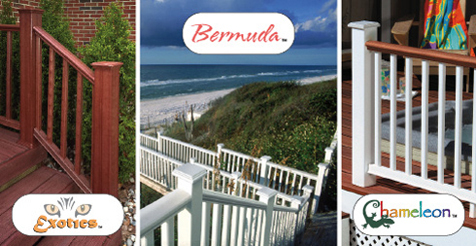 This one Has Mahogany post sleeves, White Railing with a Top Mahogany Handrail. This option would be the last choice on the drop down menu. Felt, Flashing and composition shingles, ridge caps. 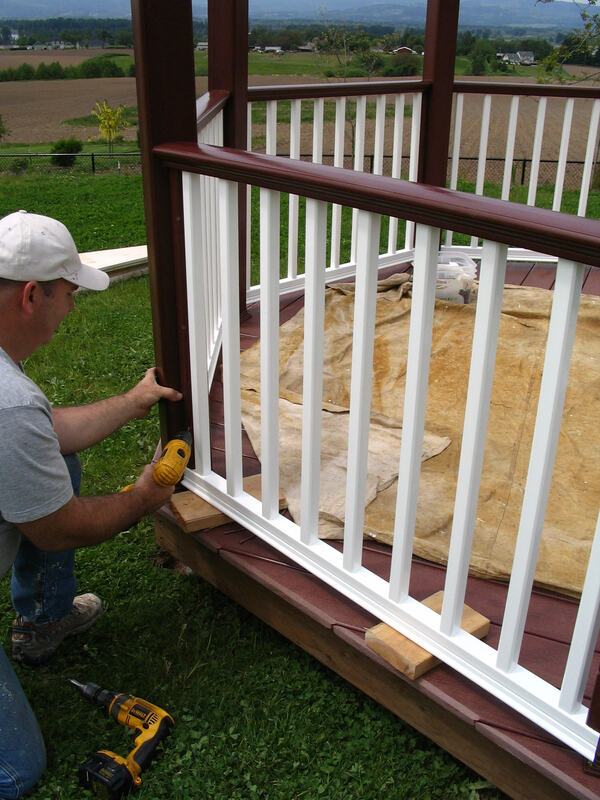 The Exotics and Chameleon railing system by Monarch is available in four designer colors. 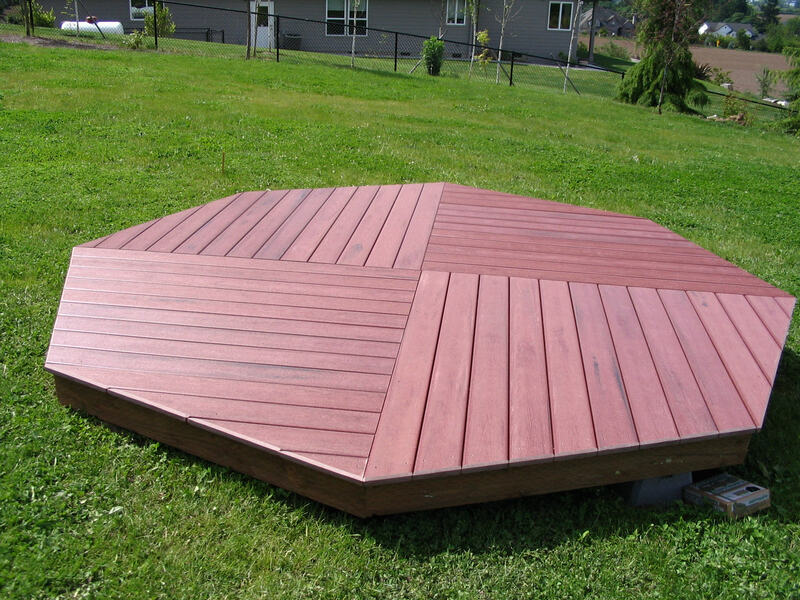 Teak, Tiger wood, Mahogany, and Cypress.